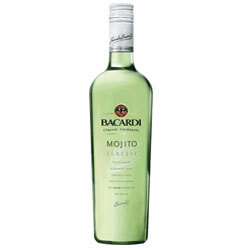 Bacardi rum and liqueurs are among the most popular and famous spirits available. 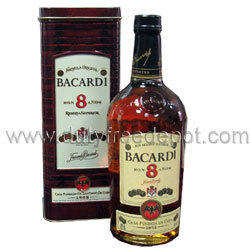 At Duty Free Depot, Bacardi prices are low and you will receive free world wide shipping – including the USA. Buying Bacardi is as easy as ever and you can contact customer service 24/7 if you have any questions. Bacardi began business in the 1800s in Cuba but it is now available in over 100 countries. It is one of the most popular spirits and is used to create a variety of delicious concoctions. At Duty Free Depot, you can order several Bacardi products including Bacardi Pina Colada liqueur, Bacardi Limon, Bacardi Black rum and Bacardi 8 Years Old rum. 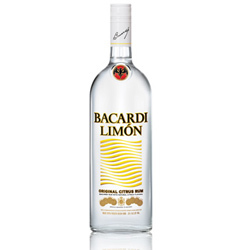 You can even find a reasonable Bacardi 151 price at this online duty free shop. Enjoy a low Bacardi rum price and mix up the fun today. Duty Free Depot is well-respected and provides reliable service to customers all over the world. 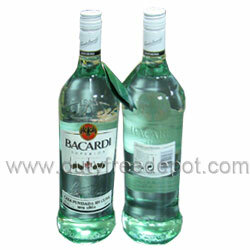 Not only can you shop for an authentic product but you will enjoy the lowest Bacardi price available. When you make a purchase, you will also receive free world wide shipping along with a 24/7 customer service options. 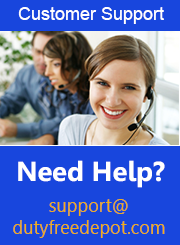 You can contact a professional customer service representative via online form, email, live chat or telephone. Duty Free Depot is dedicated to protecting your personal and financial information so payments are processed using the most sophisticated encryption and security technology. You may pay for your product with American Express, Visa, check and more.